We provide quality uniform and workwear solutions to an international array of customers all whom have different clothing needs. There are many great reasons to buy your workwear and uniforms from Tibard; the most important is knowing that you can trust us. Buying online is not always an easy step to take, so have a look at our case studies, we are a family company working with some of the largest businesses in the UK, and we know how to provide good service. If you are searching for workwear in Glasgow, Hamilton, Falkirk and throughout Central Scotland then if you buy online, not only do you have access to a much larger range of products, you also take advantage of much lower prices. With cheap and quick delivery, you can ensure that you get the best products, on time and for a great price. For those who are interested in workwear embroidery in Glasgow and Central Scotland then this is a service that we provide online through our website and it allows you to add a business logo or text to almost all of our workwear. This inexpensive solution can transform your workwear and uniforms into much more professional and smart garments that will show off your business and impress customers. There is ultimately very little that Tibard cannot do, if you have any questions about your uniform or workwear needs then be sure to get in touch, and one of our experts will discuss the best options. Tibard’s high-quality uniforms are worn by some of the biggest companies in the Glasgow hospitality industry. Whether you need reliable, long lasting chef’s uniforms for your new restaurant in Central Scotland and Glasgow or you’re simply looking to add something new to your staff’s current uniform than just give us a call and we’ll be happy to sort out any problems. We’ve pride ourselves on offering exemplary customer service to every single one of our customers aiming to give them the best uniform possible. At Tibard we construct garments to ensure excellent design and value for money. A uniform is something you’ll wear every day and needs to work as hard as you do, at Tibard we can assure you that each piece will be something you can wear for years. Businesses of every size and shape work with Tibard, and we can meet any requirements online, however, larger companies in Glasgow and Central Scotland may instead wish to take advantage of our uniform services which often provide the easiest and best value for money solutions for larger businesses. Our services include a managed uniform account which means that we take over the logistics and supply of uniforms, this option is generally best for businesses with multiple sites who do not wish to have a decentralised purchasing structure. 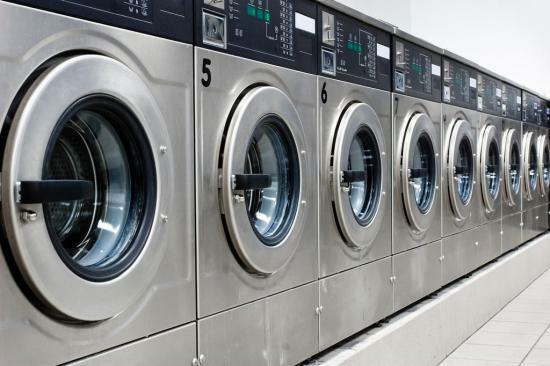 We have several over services which are much more unique and tailored explicitly around a business’s workwear needs; these include uniform laundry and rental. This means that we supply your business with a uniform which we also keep clean for you, all managed by our team; this is highly popular amongst the hospitality and catering sectors. If you are looking for a bespoke designed uniform in Glasgow then this is a service that very few can offer, however with our UK manufacturing facility, we can design a unique and bespoke uniform just for your business.